The Play Soccer Make Peace! (PSMP!) strategy has built upon the remarkable strength of soccer. The world loves soccer. It is a game for all cultures, and is played at every level of society. PSMP! integrates the game within a model of peace building. PSMP! organizes soccer tournaments in which players are asked to connect their personal skills and self-discipline for a larger purpose: not only to their team, but also to their family, to their community, to their country, to the world and even to God. PSMP! emphasizes the value of the players at this grassroots level. Players are able to directly influence how they play, and the heart with which they play and relate to the opposing team, which creates a strong sense of empowerment. This naturally motivates youth to connect to these larger goals. From July 2004 to May 2005, PSMP! tournaments were held in thirty one nations, and prizes were awarded, with WANGO members and affiliated NGOs coordinating the tournaments. 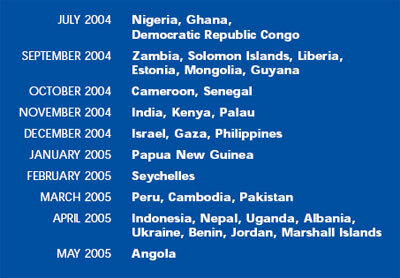 Aminimum of eight teams participated in each country's project, sometimes more. In Gaza, there were sixteen teams representing all the supporting factions. There has been an incredible amount of press, both written and spoken, about the PSMP!! tournaments. Literally, hundreds of radio spots, TV reports, and newspaper and magazine articles were written, mostly at the regional or national level, but some even on the international level. PSMP! has its own web site, www.PSMP.org, which also receives a lot of hits from around the world. It is estimated that over 15,000,000 people worldwide have heard of, saw, or read about PSMP! There is growing anecdotal, as well as substantive evidence, that PSMP! is a powerful vehicle to link sport and peace at the grass roots level. 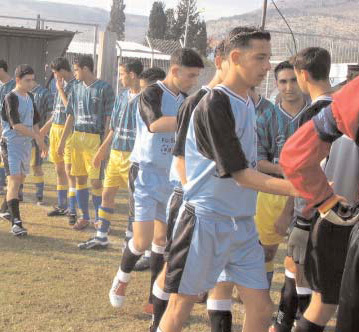 Mahammad Darawshe, of Israel, reported "During the tournament, Jewish and Arab youth and coaches had the chance to come into contact with one another and partake in joint activity. This is something that does not happen often enough in our country." From Nigeria, Mohammed Bougei Attah wrote, "The host state, Kaduna, witnessed a positive development in eight years of her efforts at reconciling two warring communities: Hausa and Kataf. Incidentally, the winning team, Scarlet FC Zaria has both tribes as players in the club. As first prizewinners, the families of the players, who are sworn enemies for years, met for the first time at a ceremony to rejoice in their awards and victory. This serves as a turning point for family, the team and the state." The Head Coach of the Mongolian team shared, "One day, my relative who is an elderly woman came to me and said: 'I met with your club member. He was such a nice child. He helped me bring a lot of things from the market, which I was carrying by hand. It was heavy bags of vegetables. On the way home, I found out that he is playing on your team and you are his coach. You are doing a nice job.'" Evans Lombe, of Zambia, wrote, "Reformers Football Club did not want to interact with Young City Football Club, for fear of them knowing their team's plans and strategies. We managed to bring the two teams together and PSMP! facilitators highlighted the importance of togetherness, and building a model of peace. We emphasized that PSMP! is not only about winning a game, but to come together, to share and inspire each other in building peace, respect and love among themselves. As I am speaking today, they visit each other for friendly tournaments and undertake community works together." The thirty-one PSMP! projects were very successful. 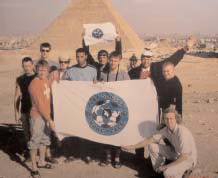 The players connected to the vision of PSMP!, and its Principles and Codes, yet unique aspects of the country's culture and history with soccer were reflected in each of the PSMP! tournaments. The timeline notes the countries in which PSMP! tournaments were held. Distinct opportunities to further efforts such as this in the areas of soccer, peace and development are present in the different countries. Every participant, whether an NGO, player or coach, is eager to continue to further the PSMP! vision and practice. Here are just four of the many requests received by the Program Director with regards to the future expansion and development of Play Soccer Make Peace! worldwide. A request was received from Israel for support to hold a weekend seminar for the soccer players from the Jewish/ Arab teams to foster relationships and understanding. In Zambia, Evans Lombe, WANGO National Representative, is continuing to build the PSMP! program with annual tournaments. In September and October he is organizing the 3rd PSMP! Tournament! Based upon the Liberia PSMP! 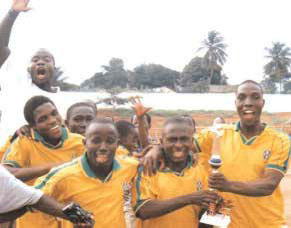 tournament, soccer teams from Sierra Leone have requested that PSMP! be set up in their country. In Albania, several mayors from neighboring towns have offered to host the PSMP! events next year. The year 2005 is the UN Year of Sport and Physical Education. PSMP! is a great model for sport, health and human development, and is now making connections to the other national and international organizations which are working with the UN in this area. In August 2005, PSMP! was approved for further funding by the Sun Moon Football Foundation. Congratulations to all the PSMP! NGO partners who helped make this possible! The vision of Play Soccer Make Peace! continues to grow with the great input and effort of the WANGO members who bring their creativity, enthusiasm and drive to the project. Phase Two of PSMP! for 2005-2007 is already in planning, with new initiatives and a growth strategy. These plans will be shared at the November WANGO Conference in the Dominican Republic. Just to give you an idea, there will be an expanded role for youth as peacemakers because PSMP! attracts some of the most capable players, some of the future model citizens. PSMP! will appoint high school students to be Peace Cadets and those of college age as Peace Commandos. There will also be a special role for the older generations. Mr. Robin Graham has been the Program Director for Play Soccer Make Peace! initiative since its inception.